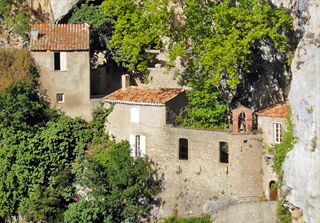 Occitania and its surrounding areas are becoming increasingly popular. More and more people are coming here to enjoy the stunning natural beauty and the interesting historical sites. Both individual tourists, companies, schools and tour operators are interested in organising tours to this beautiful region of France. We are here to help you organise them. The most popular tours include a visit to the enigmatic village of Rennes-le-Château, Alet-les-Bains, Rennes-les-Bains, the Cathar strongholds of Montségur and Puilaurens, the troubadour castle of Puivert, the Gorge de Galamus, the largest medieval fortified city in Europe; Carcassonne and the coastal town of Collioure. Around these and other highlights in this gorgeous region (e.g. Vals, Mirepoix, Foix and Tarascon-sur-Ariège) we can build a custum made tour for your group and help you find the perfect accommodation. Feel free to contact us if you have any questions. The French Pyrenees have played an important part in European history. 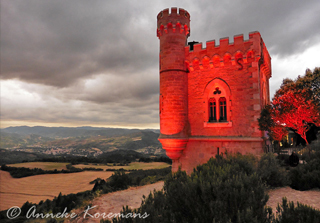 The area is therefore rich in important historical sites, all set against the backdrop of the breathtakingly beautiful mountain range that forms the border between Spain and France. During this tour you can combine some of the popular highlights with e.g. 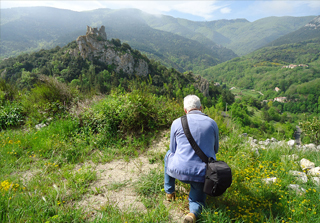 the Hermitage of St. Anthony of the Desert, the rock church of Vals, the prehistoric caves and park, ancient abbeys such as St. Michel de Cuxa, fortified towns like Villefranche-de-Conflent, the Donjon D'Arques, Château de Termes and Villerouge Termenes. The choice is yours.